The world believes that India is a predominantly vegetarian country where culture and religion impose restrictions on meat taking. But the recent survey conducted by the Registrar General of India (RGI) proves otherwise. The RGI had carried out the nationwide Sample Registration System survey in 2014. The data showed that nearly 7 of every 10 Indians are non-vegetarians. Also, the data indicates that the percentage of non-vegetarians was consistently higher in rural areas. With 73.2 percent men and 76.6 percent women being vegetarians, Rajasthan is the state with the highest population of vegetarians. Haryana follows next with 68.5 percent men and 70 percent women and in Punjab, 65.5 percent of the male population and 68 percent of the female population eat vegetarian food. 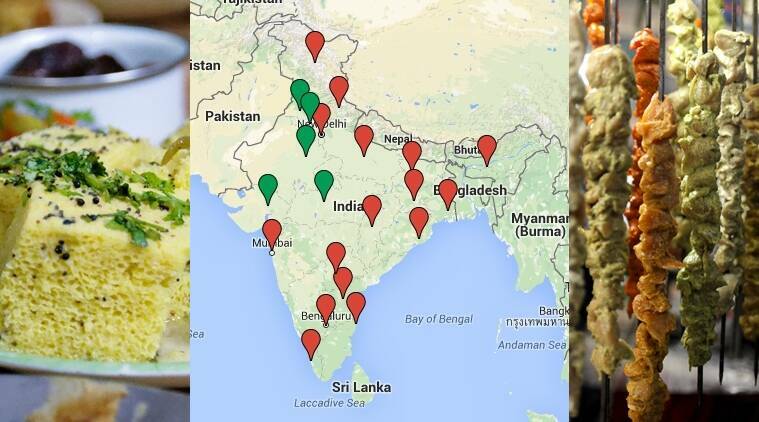 Something to be noted is that none of the South Indian states list in the top vegetarian states. Karnataka has the highest population of vegetarians across South India with just 21.1 per cent. None of the North Eastern states including Arunachal Pradesh, Manipur, Meghalaya, Mizoram, Nagaland and Sikkim have been included in the survey. If it is a survey of India then Eastern States must also be included in this survey.